"Merry Christmas With Love," Sarasota by Scarlett. "All Year Long," Sarasota by Scarlett. It's fine with Scarlett to have the link posted here and elsewhere. "What Are You Doing New Year's Eve," Sarasota by Scarlett. 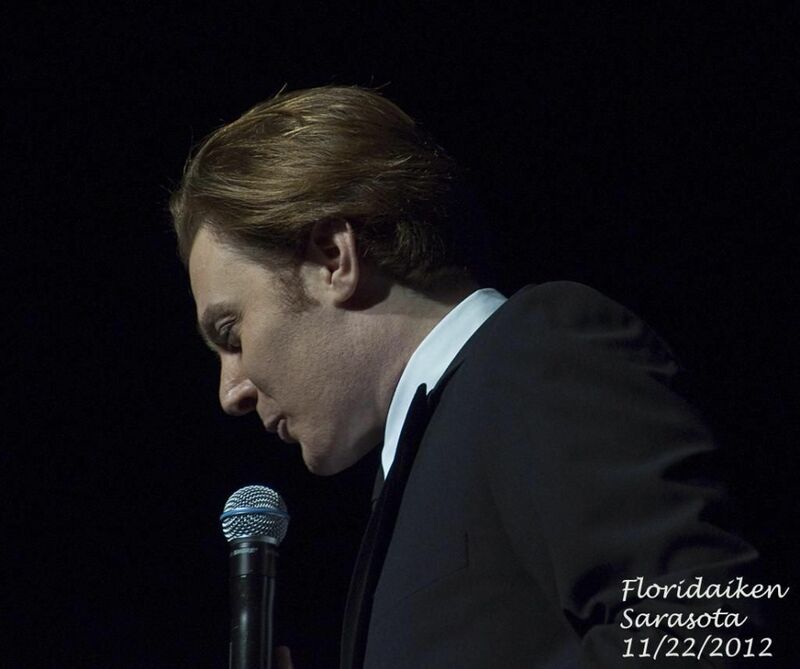 "Don't Save It All For Christmas Day," Sarasota by Scarlett. LUCIA FROM CV- THE LADY WHO FLEW FROM BRAZIL. I am not good with recaps, but I´ll try. I got to go to the M&G, as you know, Clay said he wanted to meet me. . We got in at the very last row at the theater and there he was, rehearsing with the orchestra. 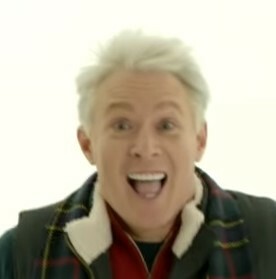 I am in fog, but I think he was singign the Christmas Waltz. When he was done, we came all the way to us, complaining about the steps lol. He was wearing a purple sweatshirt, orange sweatpants three sizes bigger, and tenis shoes. Hair was awesome, the best I´ve seen. Then we all got together for the group picture (Mariah, the tour manager took it with her iPhone). He did an individual picture with the other girl that also came from Japan. I still don´t have the picture, I´ll post it when I have it. Concert was awesome, he changed clothes 4 times. 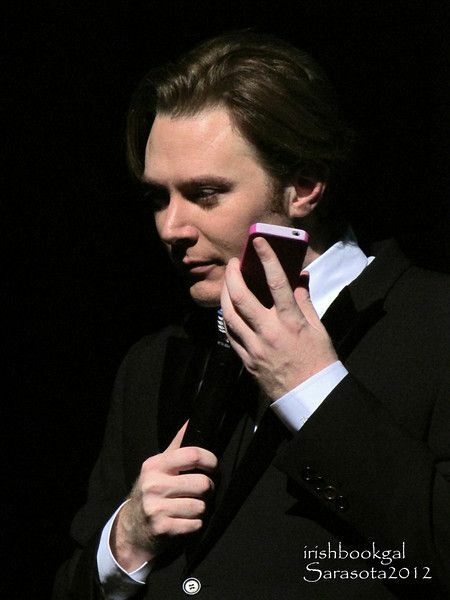 I don´t like the stories too, but his voice and his hair was the best I´ve ever seen. Lucia it was so nice to meet you & Kiyoko! And it was so nice that she made it to another show--and M&G--thanks to Clay's kind offer. I do want to let everybody know that much of this was due to other fans' kindness & generosity. I originally had seats right next to Kiyoko at Kravis, we had connected at OFC. My husband Bill won a M&G for Kravis, and Kiyoko & I didn't, but then I was fortunate to have the opportunity to split the VIP ebay auction M&G with DisplacedNCgirl! Bill had PM'd Vanessa at OFC to ask if he could gift his win to Kiyoko, but she never responded to that. Kiyoko had a gift for Clay and had asked early on how to get it to him, so we said we could give it to him. I also had an unopened copy of MCWL that I was going to ask Clay to sign for her. And since both Susan and I had upgraded the tickets we bought to front row, but then got front row from the "National Inclusion Project" M&G, Bill & Kiyoko BOTH got to sit in the front row too at Kravis! The most generous, kind, selfless gesture came from MBlovesClay who, when she heard Kiyoko had come from Japan, asked the tour manager Mariah on the spot if she coud take her place for the OFC M&G!!! Mariah said absolutely (which surprised me, but was WONDERFUL! ), so Kiyoko was able to gift Clay her gift, and ask him to sign the MCWL, herself! And have the most awesome though unexpected night--and then a 2nd! CLAY AND HIS FANS ARE THE BEST IN THE WORLD!!! Here's a link to more clack. For some reason MBlovesClay has West Palm Beach in the wrong one. MARIYLN, Thank you so much for bringing this you tube over. I have trouble with clack unlimited. CLAY REALLY LOVES TOURING FOR HIS FANS. WELCOME BACK CLAY!!!!!!!!!!!!!!!!!!!!!!!! 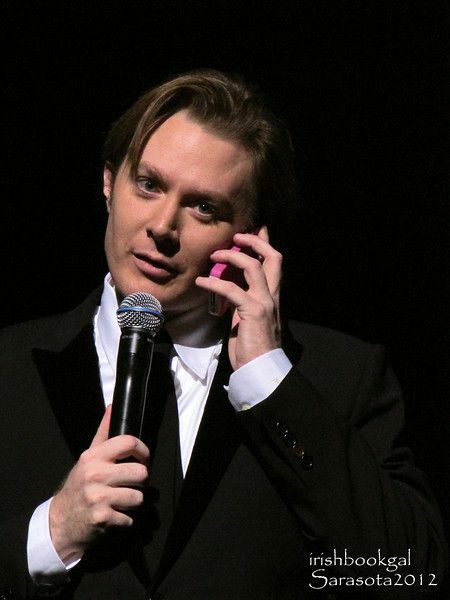 American Idol Season 2 runner up Clay Aiken brought joy and tears to the Kravis Center of the Performing Arts in West Palm Beach recently with his Joyful Noise Tour. He returned to the holiday circuit after a five-year break. A lot of former idols lose their appeal fairly quickly, but it was evident that Aiken still had his, with fans showing up all the way from Tokyo and Brazil. The concert was filled with a mix of traditional religious Christmas songs like O Holy Night, Silent Night, Away in a Manger, Mary Did You Know and secular ones like My Grown up Christmas List, Don’t Save it All for Christmas Day and Jingle Bells. 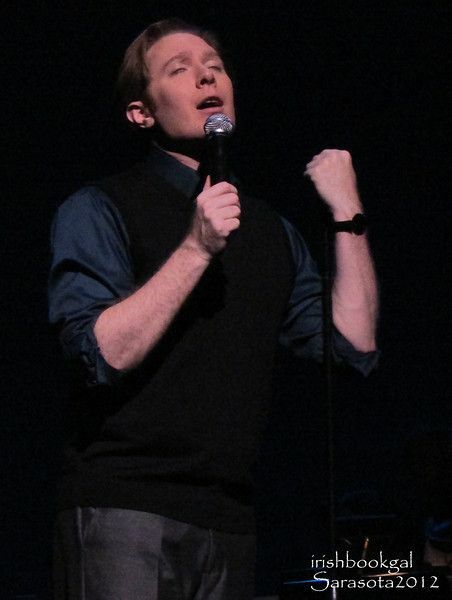 While Aiken’s voice soared on every note it was his down home charm that made the concert memorable. He told stories, interacted with fans and was not only charming, but surprisingly funny. After watching him on stage it’s easy to see why he’s garnered a loyal, almost fanatical following, over the years. When he asked how many of his fans had been to all of his holiday tours a surprising number of them screamed out. While most of the concert was filled with laughter and smiles there was one part that was especially sad. Throughout the performance there were prerecorded fans speaking about holiday memories, including a woman who had lost her son close to Christmas, and she used the holiday spirit to help her grieve and move forward again. 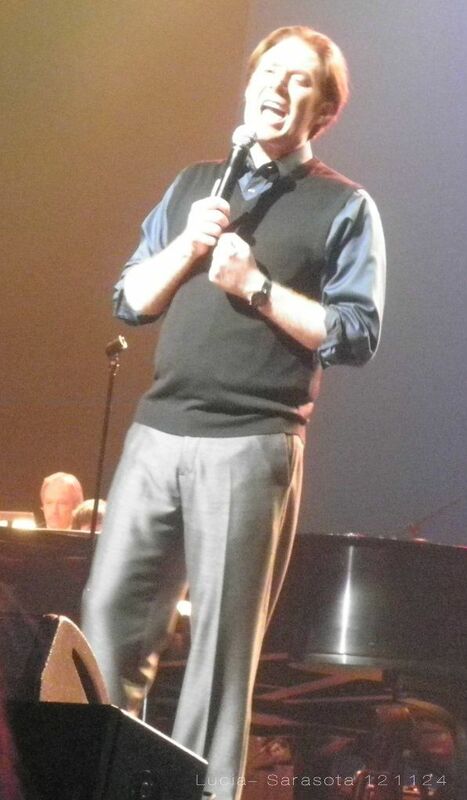 The only criticism of the night would be at times the live orchestra seemed to overpower his voice. But that could have also been due to the fact that Aiken admitted he was battling the flu so perhaps his vocals weren’t at full power. 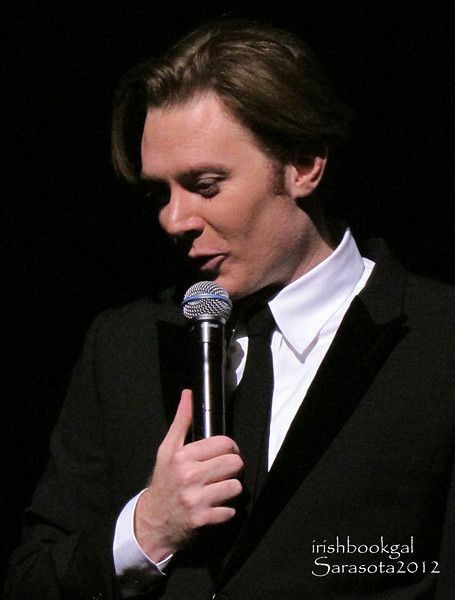 Visit www.ClayAiken.com for a listing of his next tour stops which run through Dec. 21.